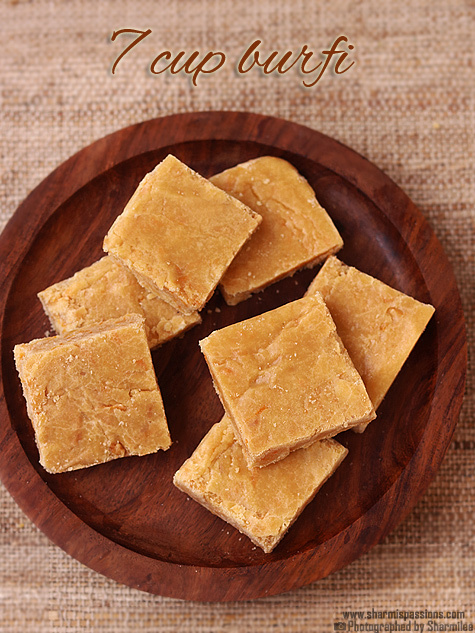 7 cup burfi recipe a quick barfi made with besan.As it uses 7 cups of ingredients, it is called 7 cup barfi. It tastes close to mysore pak with carrots here and there. Edited to add : Have updated the steps and pictures as I tried it alone this time after getting confidence 🙂 and yes I nailed it as this was the comment I heard from amma. * In whichever cup you are measuring use the same cup for all measures. I used my 1/3 cup for all the measures mentioned above. First choose a cup for measuring all the ingredients.I used my 1/3 cup.In a pan add besan flour and roast until aroma comes slightly, do not let it to change colour.Switch off. Trim the edges of the carrot, peel off the skin then grate the carrots.Measure and add it to the pan. Add sugar then add milk. Now whisk it well for even mixing, make sure there are no lumps formed.Now heat it up, first it will bubble up. It bubbles up nicely then forms a frothy layers at the edges. When you mix you can feel its getting thicker.Keep cooking. Then it will easily leave the sides of the pan with a porous texture(poru poru as we call it in tamil) as seen in the last tiled pic in this step. Immediately transfer the mixture to a greased tin.When it is still warm, mark with a greased knife then carefully remove the pieces. 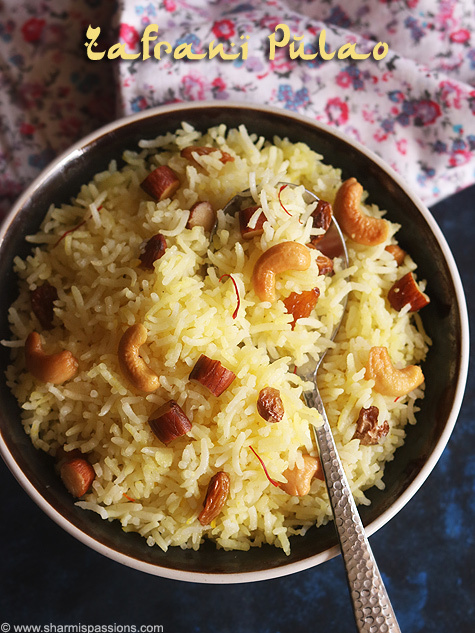 You can decrease sugar to 2.5 cups and increase ghee to 1.5 cups. 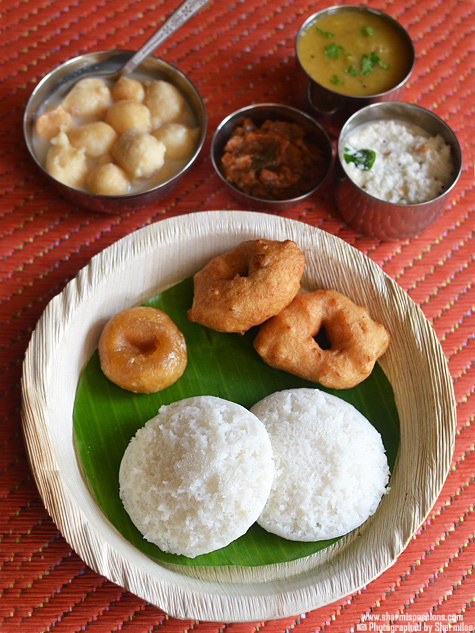 You can either use carrot or coconut or use half cup each. 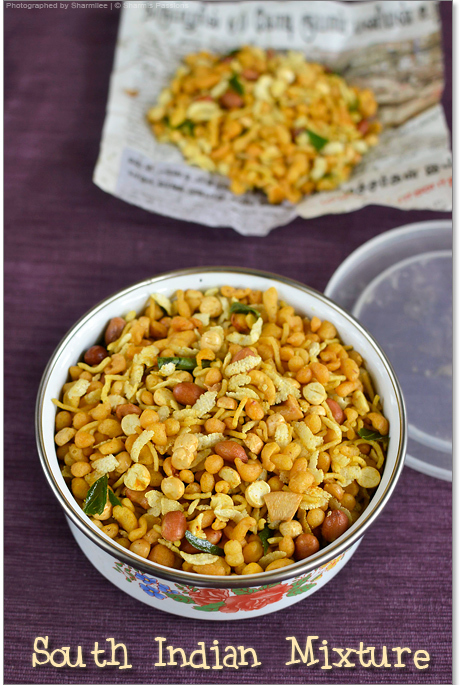 If you prefer add ghee roasted cashews. I don’t add cardamom powder if you like you can add. 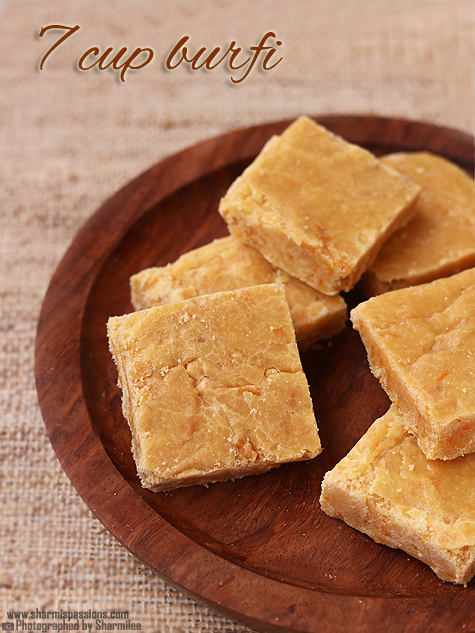 Usually the texture of this burfi should not be smooth, it should be slightly porous.The porous texture depends on how much you roast the besan flour initially. If you are doubtful on the consistency check at the final stage then take a drop and put in a plate and see, in few seconds if it hardens then thats the right stage but be quick else you will not be able to pour and set it. My MIL made it when she visited us. Nice clicks Sharmi. I can imagine the aroma of the burfi. Will surely give a try of this. 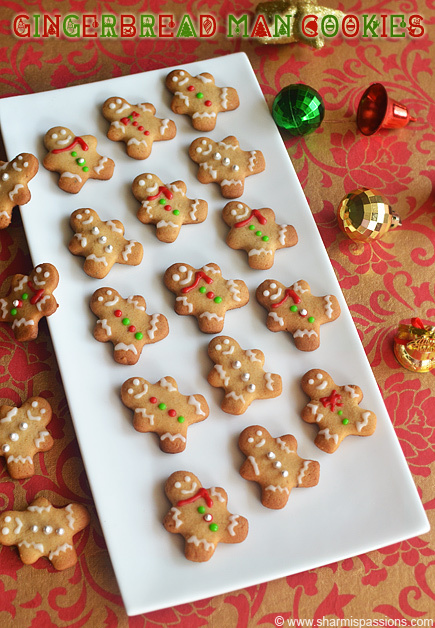 My sis-in-law makes a very similar version and I love it to bits.Looks delicious! 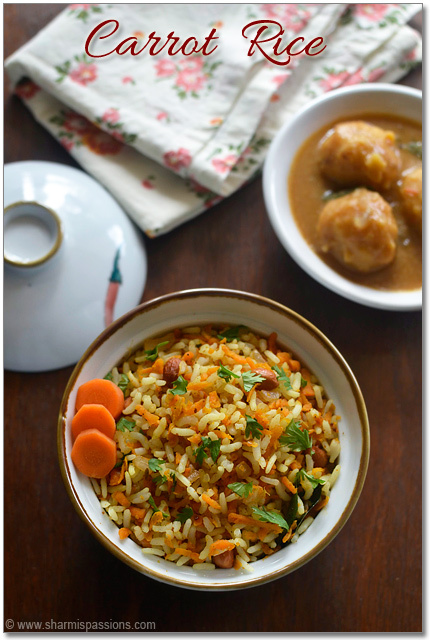 lovely post sharmi…. video super…. 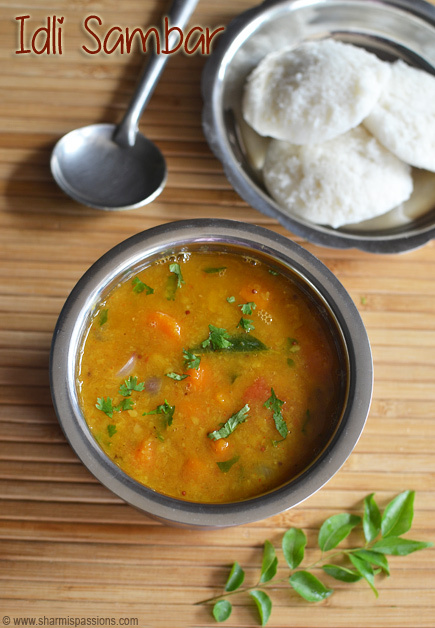 Vow I am sure this recipe will be better than a Mysore pak and with all the goodness of carrots and cconut,Amust try recipe. 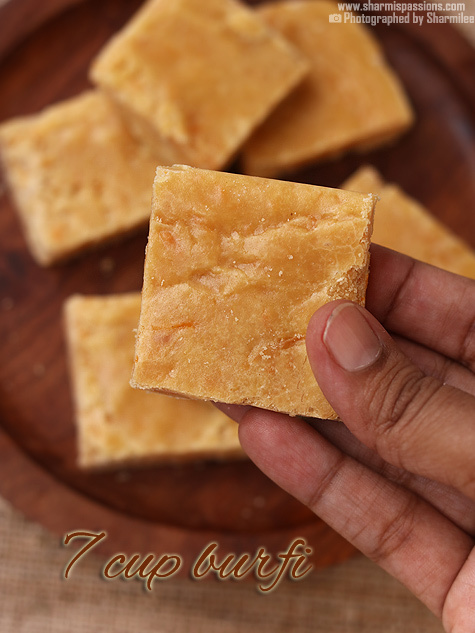 Adding carrots is a wonderful idea..Perfect textured burfi..Waiting for more such yummy diwali sweets on Sharmis passion!! Wow.. Yummy burfi.My MIL once made this long back & I just loved it. Awesome Burfi and I like the use of carrots! 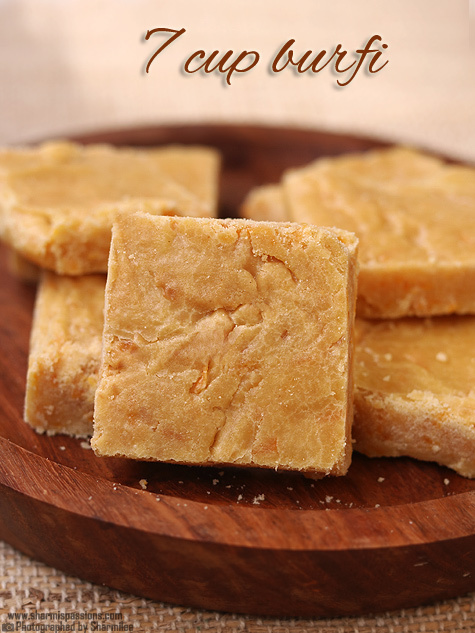 i love this burfi …it reminds me of my mom .she always make this for me in childhood.. Adding carrots sounds truly interesting,love coconut in this burfi. 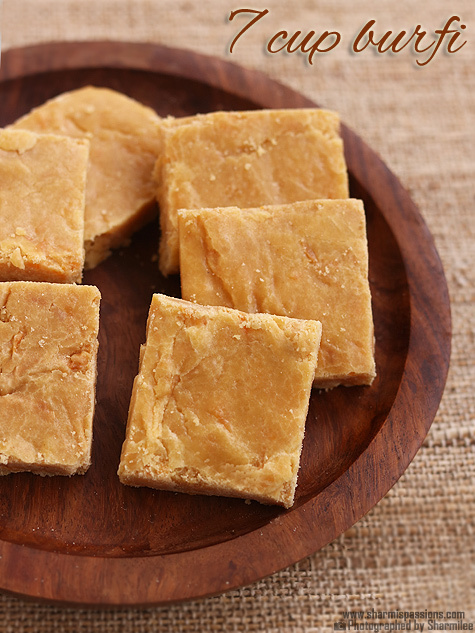 Hi Sharmi i tried this recepie and it turned out really well ..thanks for u r recepie ..
Hi sharmi, made the barfi but with less sugar as added carrots. Came out superb!! My daughter who never ears sweets other than chocolates liked it and had lots. Thank u so much !!! it's very good idea of carrot instead of coconut in 7cup burfi. Thank you. The longer i kept stiring the blacker it got. So i had to throw everything away. In my early days of trying this sweet once it came like halwa as I missed the final consistency, that must be the problem with urs too…. Hi, If we are using coconut instead of carrot, do we need to roast that also? Yes you can give a try and see…. How to fix it now?? Hello Sharmi,burfi become hard why ?other then that everything was perfect..plz do reply. it as become as hard as stone but the taste is very good..where i went wrong why it become so hard? can i use maida instead of besan? I tried this for the first time and it came out pretty well….The cubes were soft yet held together.. Accurate proportion! Hi Sharmilee Ji, I tried this burfi both with carrots and then replacing the carrots with powdered almonds. Both came out well. Consistency in the case of using almonds came out better. Its a very good and easy recipe for beginners like me. Looks so yummy, thanks for sharing.